As I am making final drafts on this newslettermy little 5 year old is sleeping in my bed while I am sitting up north with the door open and it is raining outside. Trulya Zen moment that I am taking in. Of course, being on vacation and listening to the rain is absolute heaven, but it also makes me think of the importance of finding "Zen moments" and bursts of joy in the hectic pace of our every day lives. Whether listening to a beautiful piece of music, spending time with your kids, being outdoors or doing a little morning yogathere is always so much good when you are looking for it. 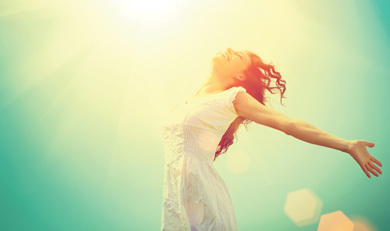 To read my latest Cityline blog 5 ways to increase your 'joy factor' click here. Looking for a cottage gift or patio gift? 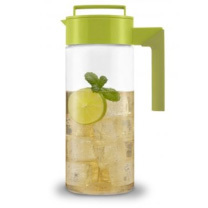 David's Tea iced tea pitchers are the perfect gift to drink healthy tea in a eye appealing way. 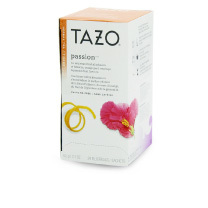 Just steep your favourite tea (we love Tazo Passion Teasee below), add some ice and mind - and you are set for the day. Looking to satisfy your sweet tooth in a healthy and hydrating way > Try Tazo Passion Tea infused with hibiscus, orange peel, rose hips & passion fruit flavour. 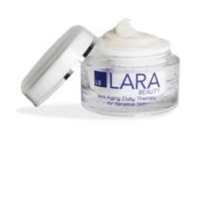 Lara Beauty Anti-Aging Daily Therapy is a fragrance-free moisturizer for sensitive skin, designed to give you a youthful, radiant appearance. When it comes to sun protection, our lips are often forgotten. This all-in-one lip treatment by COOLA is moisturizing (vitamin and antioxidant enriched), hydrating (contains raspberry and avocado fruit butters) and protective (contains SPF 30 and UVA/UVB protection). Made with all natural ingredients, hypoallergenic and water resistant, this is the perfect go-to lip protection of the summer. Soak an untreated cedar plank (or planks) in water. Keep submerged for 30 minutes to 24 hours. When ready to grill, turn grill burners on high for 10 minutes. Mix oil, garlic, dill, salt, pepper and lemon zest; rub over salmon and into scored areas to coat. Place soaked cedar on hot grill grate, close lid, and watch until wood starts to smoke, about 5 minutes. Transfer salmon to hot plank, turn burners to low, and cook covered until salmon is just opaque throughout, about 25 minutes or longer, depending on thickness and grill temperature. Let sit 5 minutes; serve with lemon wedges. Trim, core, and peel pineapple. Cut into quarters. Slice out the core from each quarter. Cut each quarter slice into four pieces (two pieces lengthwise and two crosswise). You should now have 12 wedges of pineapple (about 3-inch by 1-inch each). In a small bowl, combine honey, lemon juice, black pepper and cinnamon. Brush the glaze onto each slice of pineapple, coating completely. Place pineapple wedges on the BBQ grill and cook approximately 4 minutes on each side (turning every 2 minutes) until the pineapple becomes fragrant and starts to dry out on the surface. Clean and prepare the artichokes (see below for how to prepare). Put cleaned artichokes in a serving bowl and toss with the fresh lemon juice. Sprinkle in the garlic, thyme, bay leaf, salt, and chili flakes. Cook until the garlic for about 1-2 minutes. Pour in the water and bring to a boil. Add the prepped, drained artichokes, and bring the soup to a simmer. Cook, uncovered, until artichokes are tender, about 1 1/2 hours. Stir in the chopped parsley. Artichokes are ranked as one of the top 10 antioxidant-rich foods in addition to being a good source of magnesium, potassium, vitamin C and fiber. With only 60 calories per heart- you can't go wrong! 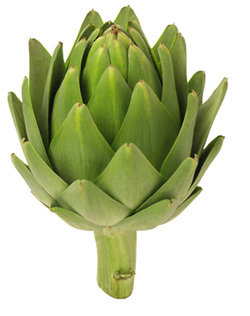 To prepare an artichoke, fill a bowl with approximately 2 cups of cold water and add the juice of one lemon. Peel and trim the stem of the first artichoke. Pull off any tough outer leaves and discard. 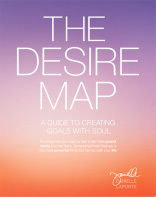 The Power of FoodRecently, my sister bought me a book called The Desire Map and said, "Read thisit's a good reminder". I am sure glad I did! In her book Desire Map, author Danielle LaPorte brings you a holistic life-planning tool that will revolutionize the way you go after what you want in life. Unapologetically passionate and with plenty of warm wit, LaPorte turns the concept of ambition inside out and offers an inspired, refreshingly practical workbook for using the Desire Map process. This entire journey through the desire map is designed to help identify your "core desired feelings" in every life domain: livelihood & lifestyle, body & wellness, creativity & learning, relationships & society, and essence & spirituality. A quick and entertaining read that helps you to quickly and clearly narrow in on the life you want to lead. Prior to joining a weight loss program, make sure you can follow a version of that program for 5 years or longer. Without that approach, I guarantee youyour weight loss results will not be a life long shift. We are so proud to say we help our clients lose the weight and... keep it off for life. You must lose weight with dignity. No injections, no bullyingone on one private personalized and hormonal weight loss program with metabolic testing designed for you.